The Ataturk Dam is located between Şanlı Urfa and Adıyaman cities on the Euphrates River, 24 km away from the city of Şanlı Urfa, Bozova province. It is used for energy and irrigation purposes. The Southeastern Anatolia Project, known as the GAP project, is one of the biggest projects that Turkey has ever dreamed of in its history. One of the biggest goals of GAP is a project that has been a dream for the elimination of the energy deficit in Turkey, employment of the people of Southeastern Anatolia and making Southeastern lands more efficient . The project, which was started in 1983 and opened in 1992, is the biggest project that changed the face of Southeastern Anatolia. The height of the dam with 8 turbines is 169 meters. It is a rock fill type dam. The capacity is 84.5 million m³. Outer surface is rocky clay and soil. The height of the first construction with the pressure of the dam lake was shortened by 10 meters. Building on; It began on November 4, 1983. The dam planned to be completed in 1994; Irrigation and energy. 84.4 million m3 rock and earth fill and filler volume are the fifth most common dams in the world to date. The lake area from the square is 817 kilometers. Picture of Atatürk Dam on the back of 1 000 000 TL Picture of Atatürk Dam on the back of 1 YTL Picture The height of Temelden is 169 meters. The minimum water elevation is 513, the ideal water elevation is 526, and the maximum water elevation is 524 meters in height from the river level. The dams must have a depth of at least 133 m in order to be able to generate electricity. The size of the dam wall is 1644 and the width is 15 meters. It has 2400 MW of power and an annual production capacity of 8900 GWh of electricity. At the end of the construction in 1992, it produced 144 billion kilowatts of energy daily. The economic value of this value is 15 billion dollars. The Ataturk Dam is the only one that will meet 20 percent of the energy generated in Turkey’s hydroelectric power plants. Atatürk Dam is the 6th largest dam in the world from voluminous maintenance. The hydroelectric power plant is also the 5th largest hydroelectric power plant among those constructed in the world. However, it is the biggest dam of Europe and Turkey. It is the capacity to complete Istanbul’s annual water needs in five days. Annual average water flow is 26.654 billion cubic meters. Total water storage volume is 48.7 billion cubic meters. In each group; There are 8 turbine generators with a power of 300 Megawatts. On July 25, 1992, two of these 8 units were opened for service. With the completion of the construction of the Tunnel in Şanlı Urfa, which is still under construction, 1.43 million acres of land will be irrigated in Şanlı Urfa, Harran, Mardin, Ceylanpınar and Siverek-Hilvan ovals. 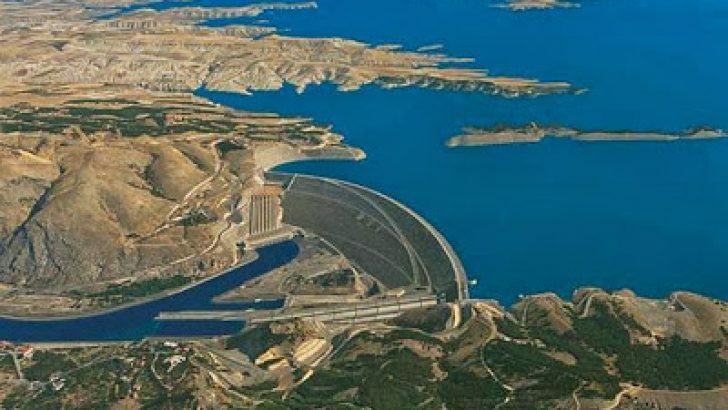 A total of 874 thousand 200 hectares of land will be irrigated from the Atatürk Dam. 207 thousand hectares are open to irrigation. The contribution to the country’s economy has been 5.5 billion dollars. If the entire area is irrigated, the annual turnover will be 2.5 billion dollars. The current employment is 400 thousand people. It is planned to employ 1 million 750 thousand people with GAP’s full activity. Bir önceki yazımız olan What are the hydroelectric power plants in Turkey? başlıklı makalemizde hydroelectric plants are where hydroelectric power plant is where, hydroelectric power plants ve hydroelectric power plants in Turkey hakkında bilgiler verilmektedir. Atatürk Dam and Hydroelectric Power Plant ne zaman perşembe gününde Leyla Şeker bu siteden okudum. Duygu Gündüz Atatürk Dam and Hydroelectric Power Plant Çağatay Turgut çok güzel. Atatürk Dam and Hydroelectric Power Plant için teşekkürler. 1 Kelkit’te Köyler Yenilenebilir Enerji İle Aydınlanıyor 2 BİYODİZELİN FAYDALARI NELERDİR? 3 2018 Elektrik Mühendisi Maaşları Ne Kadar? 4 Jeotermal Enerjisinin Çevresel Etkileri 5 Biyodizel Nedir?